Marketing in the modern world means making a personalized connection with your consumer base. The old way of blindly advertising and marketing based on vague data about generalized demographics doesn’t accomplish that goal. With better analytics and information than ever before driving business strategy, companies can now create accurate customer journey maps that help them direct and retarget marketing activities where they’re most effective. 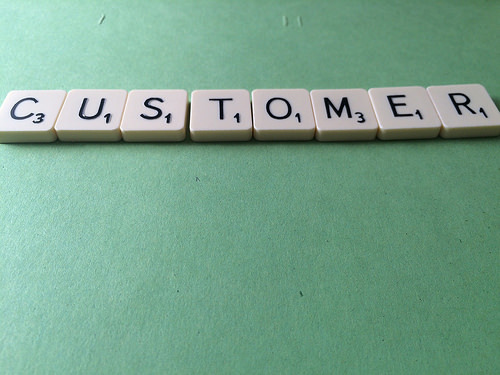 Why do people focus so heavily on the customer experience? Surely a fantastic product speaks for itself, despite the business’ marketing and customer experience approach, right? Well, not exactly. While a remarkable product does go a long way towards earning customer satisfaction and brand loyalty, people often have to choose between several providers for essentially the same offering. The customer experience is the only thing that sets one brand apart from its competitors in the global market. For example, people prefer certain fast food chains or grocery stores because of the way the shopping experience makes them feel. They may even go to a more expensive brand because they want a consistently good experience more than they need rock bottom prices. An incredible customer experience also generates brand champions who will do your marketing for you. If a company can understand where consumers come from and how they arrived, it can effectively create marketing activities around user needs instead of arbitrary guessing. It just makes sense to invest in a unique customer experience. • Determining your personas. Before you start any marketing strategy, develop a working knowledge of your customer base. Can you pick out three to five personality and lifestyle profiles for your target market? Your personas should include both the customers you currently have and the ideal shoppers you’d love to serve. Hopefully those two areas overlap. • Evaluating your market reach. Start drawing a visual map of each touch point you make with a consumer for each persona you want to target. Include billboards, social media, known influencers and brand champions, landing pages, calls-to-action, in-store interactions, presence on 3rd party sites, and other spaces where a user has the opportunity to make contact and engage with your brand. You may even want to qualify the type of contact as visitors and leads, and how that touch point will ideally facilitate the sales cycle. • Mapping data to touch points. Spend some time evaluating how many visitors, leads, and customers you net from each channel of the customer journey. Consider adding impact analyses to each touch point to gain a clearer picture of where you really succeed in bringing in users, and identifying areas where the consumer journey tends to drop off. Highlight the pain points on your maps for each persona. • Identify action points. Use the maps to extrapolate the areas or touch points where consumers make a decision to purchase. If you really want to gain some insight, identify the areas that lead former customers back to your brands, and which touch points inspire online engagement in the form of reviews, referrals, likes, or shares. Those areas are your strengths and are likely to directly underscore ROI. • Compare maps. Looking at the maps for each persona, identify overall trends for conversion success and where your company seems to fall short. Now you know exactly how to play to your strengths and shore up your weaknesses. The customer experience involves the psychology and the emotion of the purchasing process—not merely the logic. Improving the emotional appeal to the consumer will naturally facilitate the overall experience, and you may discover pathways you haven’t explored yet. For instance, you may want to start building thought leadership through a media site or blog focused on providing valuable information to your target audience, instead of selling the features of a product. Or maybe you aren’t dedicating enough resources to a pathway that clearly resonates with consumers. Regardless of what you find, the exercise will enhance your ability to provide an exceptional customer experience throughout the sales cycle.